A two Judge Bench of Supreme Court today observed that the term ‘occupation’ under Article 19(1)(g) does not include the office of a Member of Legislative Assembly (MLA). The Bench comprising of Justices J.Chelameswar and Abhay Manohar Sapre made the above observation while disposing a writ petition filed by Six DMDK MLAs challenging a resolution passed by Tamil Nadu Legislative Assembly suspending them for breach of privilege. One of the contentions raised by the MLAs was that the impugned action is violative of their fundamental right under Article 19(1)(g). It is argued that the term ‘occupation’ under Article 19(1)(g) is of the widest amplitude, and includes the office of a member of legislative assembly. The Bench stated that, to decide the correctness of the submission, it is required to examine both the etymological and contextual meaning of the expression occupation occurring in Article 19(1)(g). “The right to contest an election to the legislative bodies established by the Constitution is held not to be a fundamental right. Therefore, logically it would be difficult to accept the submission that the right to participate in the proceedings of the legislative bodies can be a fundamental right falling under Article 19(1)(g). No citizen is entitled as of right either to become or continue for the whole lifetime as member of a legislative assembly. Acquisition of the membership depends on the decision of the electorate and is conferred by a process established by law. Even after election, the tenure is limited. Fundamental rights do not come into existence upon the volition of others. They inhere in the citizens and are capable of being exercised independently without the need for any action or approval of others subject only to the restrictions imposed by law. Any member of a legislative assembly holds office until such membership comes to an end by some process established by law. Constitutional offices commencing from the office of the President of India are meant for and established for securing the goals adumbrated in the preamble to the Constitution. Each of these offices is a component in larger machinery established to make it possible for the people of this country to realise the goals indicated in the preamble of the Constitution. Any monetary benefit incidental to the holding of such offices is only to compensate for the time and energy expended by the holder of the office in the service of the nation. It is for this very reason that a member of a legislative assembly cannot be treated as holding office for the purpose of eking out a livelihood”. The Court concluded that the economic underpinnings of an ‘occupation’ under Article 19(1)(g) and the transient and incidental nature of economic benefits flowing from the office of a legislator must inevitably lead to the conclusion that a member of the legislative assembly cannot be treated as pursuing an ‘occupation’ under Article 19(1)(g). 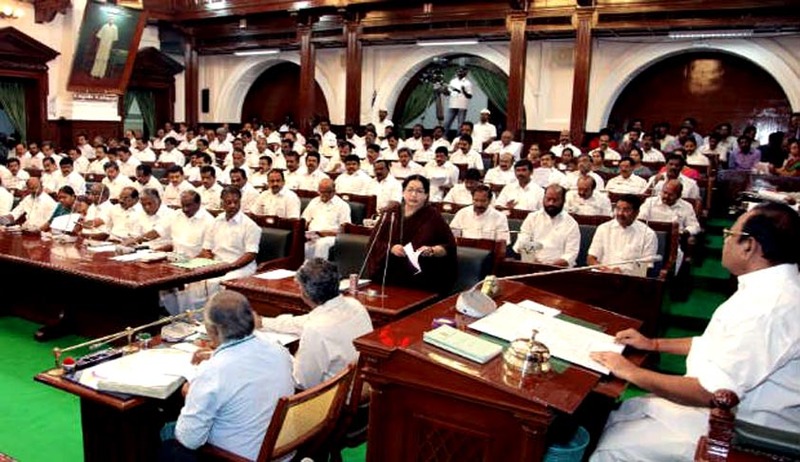 Privilege Committee cannot violate Principles of Natural Justice, SC quashes TN Assembly Resolution suspending DMDK MLAs for Breach of Privilege.